Earlier this week I was in Sydney for 15th Australasian Conference on Information Security and Privacy, where I had two papers being presented: One-time-password-authenticated key exchange (joint work with Kenny Paterson, Royal Holloway, University of London) and Predicate-based key exchange (joint work with James Birkett, Queensland University of Technology). 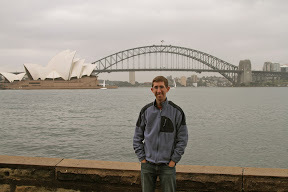 After the conference was done on Wednesday, I spent the afternoon wandering around downtown Sydney. It was drizzling rain early in the afternoon, but that cleared up and it was a lovely day. 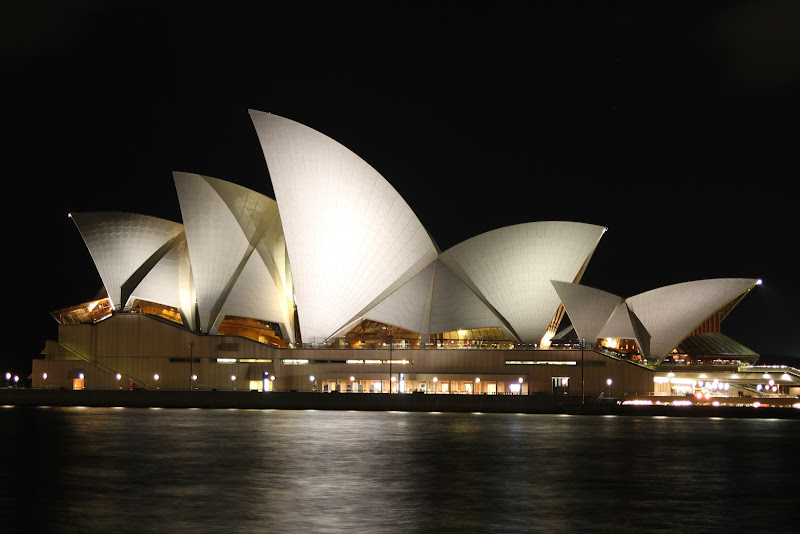 The Sydney Opera House was of course a prime subject for photography. The best view of it was from one of the pylon lookouts on the Sydney Harbour Bridge, which provided the viewpoint for the picture at right as well as the following two panorama shots. 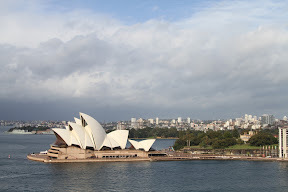 I then took the Manly ferry across the harbour to the seaside town of Manly, where I wandered around and watched cool surfers in the cold water. 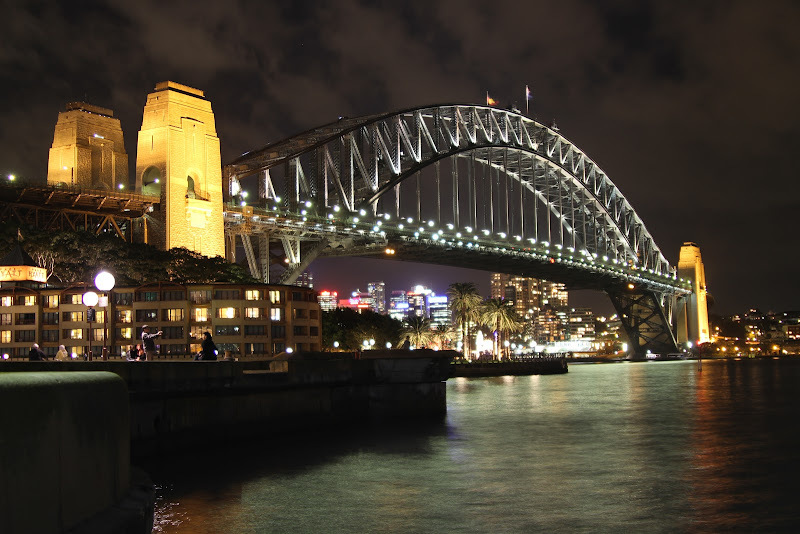 Coming back across the harbour on the ferry, it was dark, and the city was beautifully lit up. I spent some time taking long exposure night pictures, some of which came out very well, I think, before heading off to dinner at a fantastic little Italian restaurant with a line-up out the door. And then back to the airport for my flight back to Brisbane. 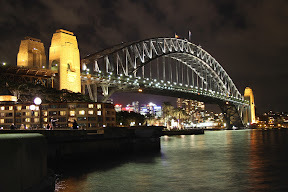 The rest of my pictures from Sydney are available in my Sydney gallery.